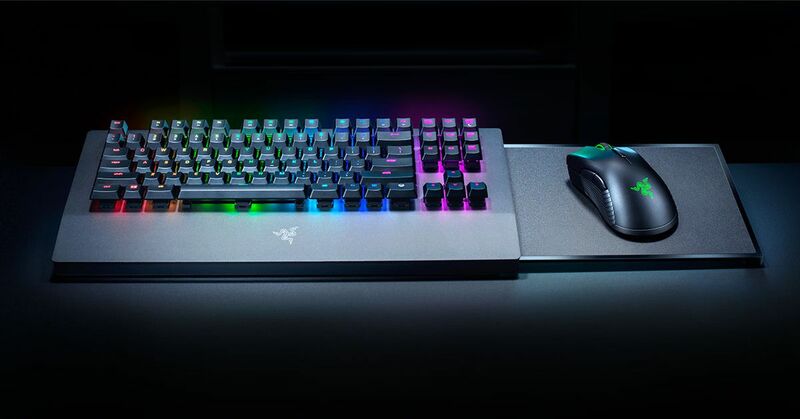 The Xbox One’s first official wireless mouse and keyboard are in the works, and Razer is clearly teasing what the two products will look like — and when we’ll get to learn more. The full reveal image was actually released late last month, but it seems to have mostly flown under the radar. Now the company is prominently advertising the pair as it promotes their announcement, which coincide with the first day of CES: January 8th. We’ve known for half a year that Razer had partnered with Microsoft on mouse and keyboard support for Xbox One, and it could have major implications for future titles. Xbox One players have been asking for mouse and keyboard support for a long time — the console was released in November 2013, and the feature only arrived last month — but Microsoft had long resisted because some fans feared precise mouse movement might give players an unfair advantage. We’re still wondering why Microsoft changed its mind so late in the game. Perhaps Halo Infinite, which is coming to both Windows 10 gaming PCs and Xbox One consoles, will offer cross-platform keyboard and mouse multiplayer. We’ll have to wait until January to find out how much the keyboard will cost, but we can see a few key details in this first official render, including an Xbox button on the bottom right of the keyboard, as well as what appears to be a slide-out mouse mat that’s probably meant to stay balanced on your lap while playing. If our eyes don’t deceive us, the new peripheral is a far cry from Razer’s previous couch keyboard effort for microconsoles and Steam Machines. This time, there’s a full-sized PC gaming mouse (it appears to be a Razer Mamba?) instead of a tiny one, plus what appear to be full-sized mechanical switches and Razer’s color-changing Chroma backlit keys. In June, we reported that Xbox developers would have access to those Chroma colors to augment their games.